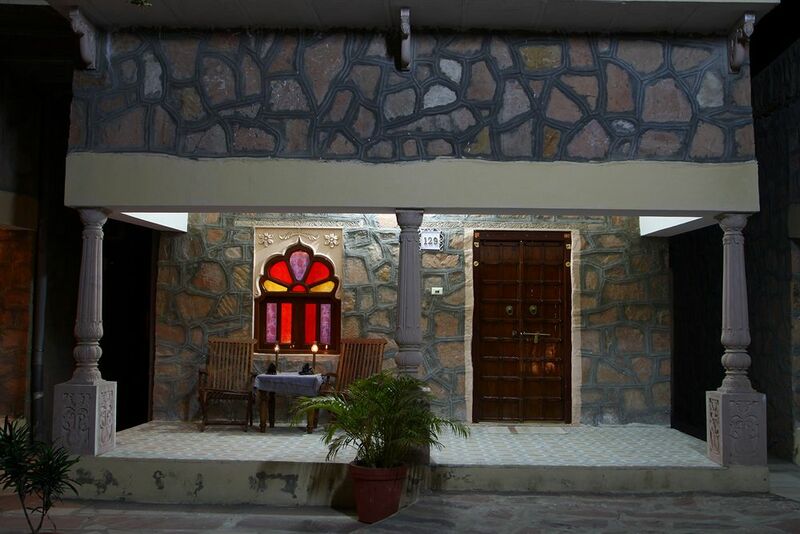 Pushkar is famous for the cultural heritage, and mythological importance it holds in Hindu religion. 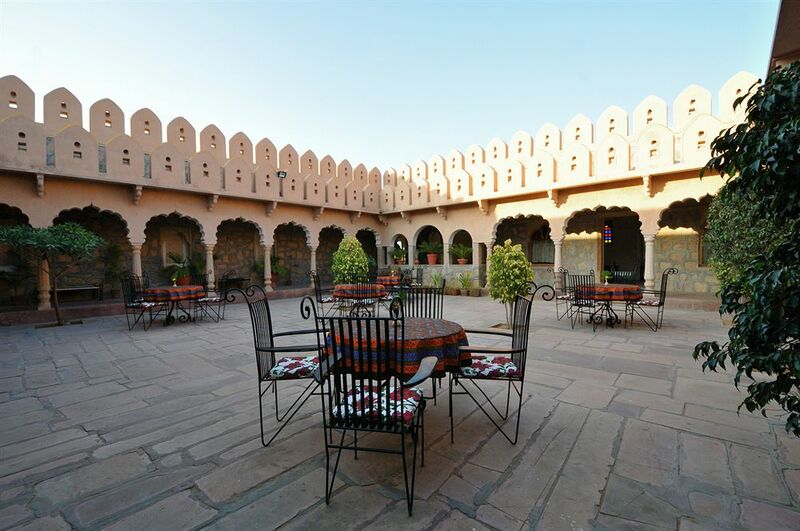 So is the Hotel Pushkar Bagh, built out of a haveli from ancient times, this structure is an apt example of how beautiful and astonishing architectural structures were built at that time. 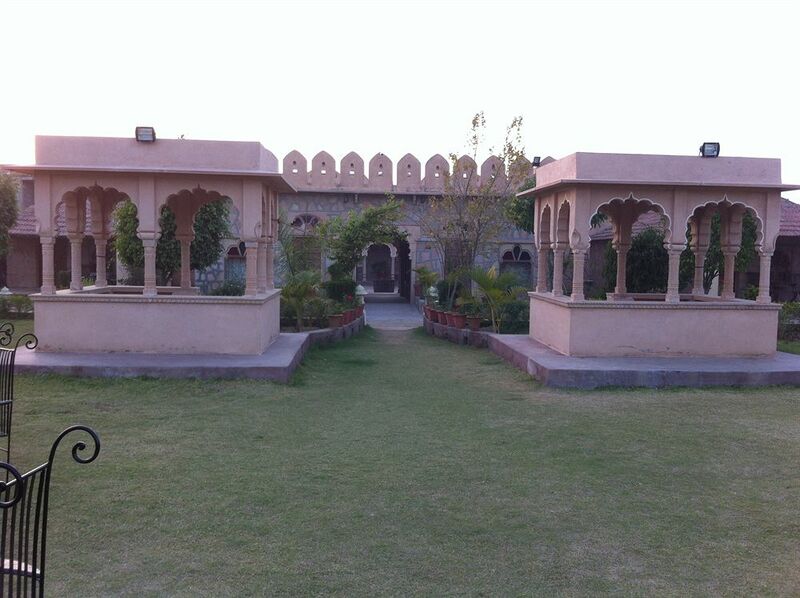 Widespread lawns, and huge front gates, completely built out of sandstone. The religious city of Pushkar is famous for the Brahma temple is houses, which is the only one temple of Lord Brahma, all over world. 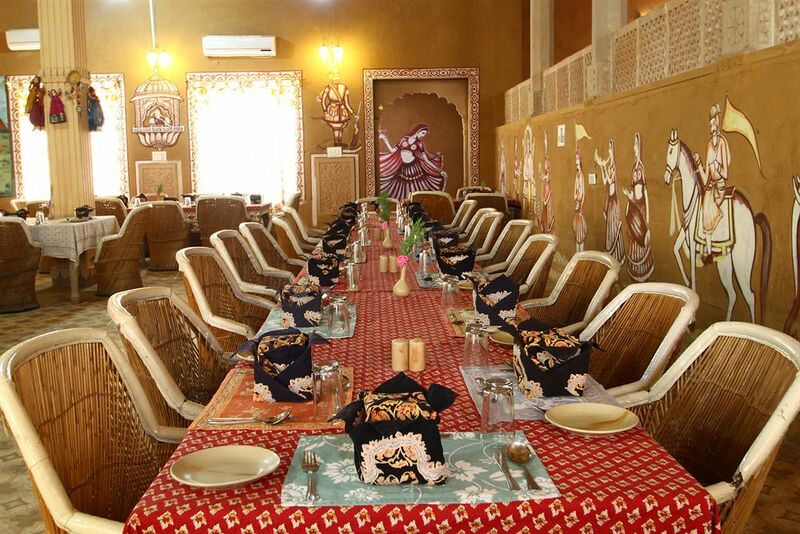 All the staff members, and the interiors of Pushkar Bagh, treasure the rich tradition of Pushkar, and the staff members are dressed in traditional dresses. 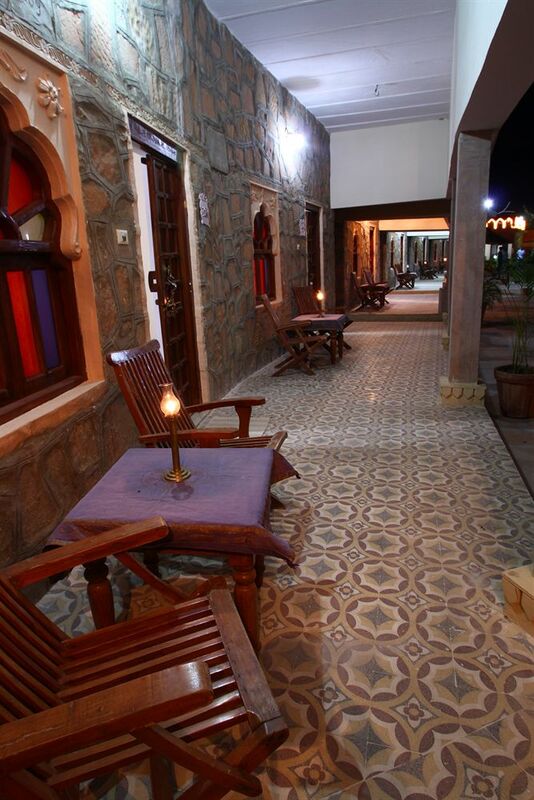 They accept all the major credit cards, and have got several alluring facilities to lure down the guests. 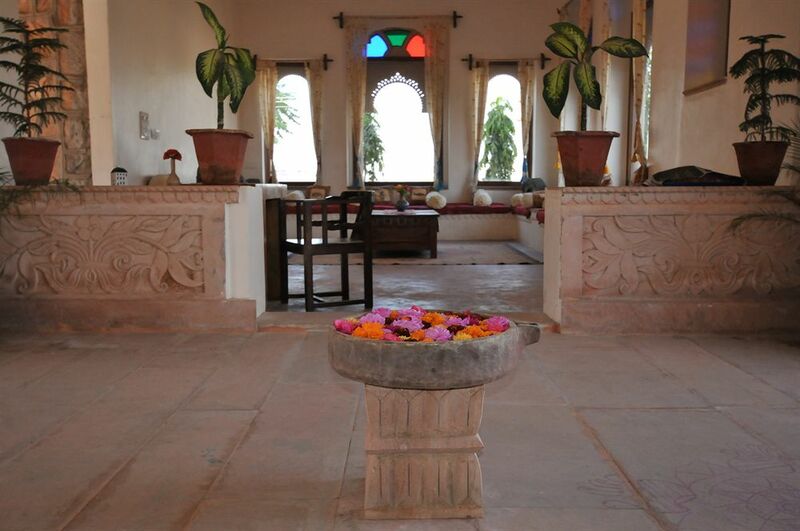 A massage, yoga and meditation centre by the name ‘Ayush’ is open for the guests staying at the Pushkar Bagh, along with a swimming pool to ditch the scorching heat at times. 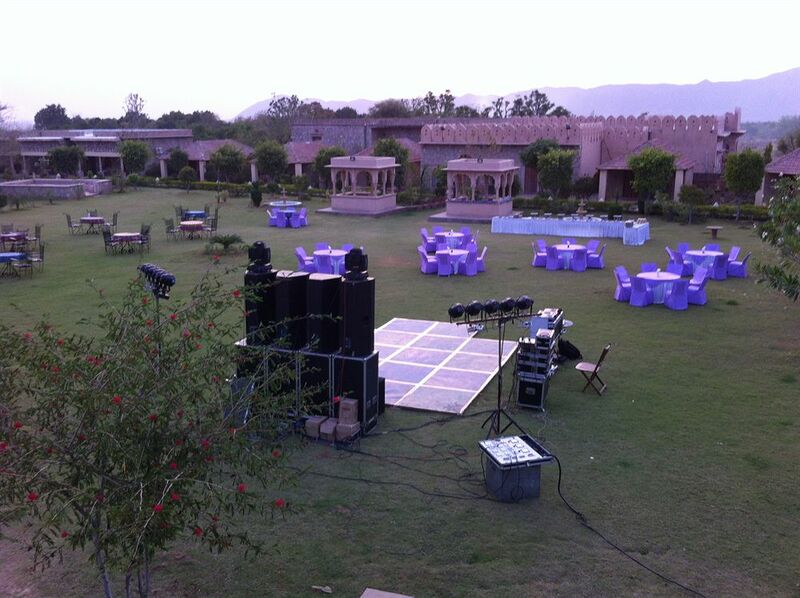 One of the most happening event at Pushkar Bagh is the option to organise one’s wedding in Royal Rajput theme. 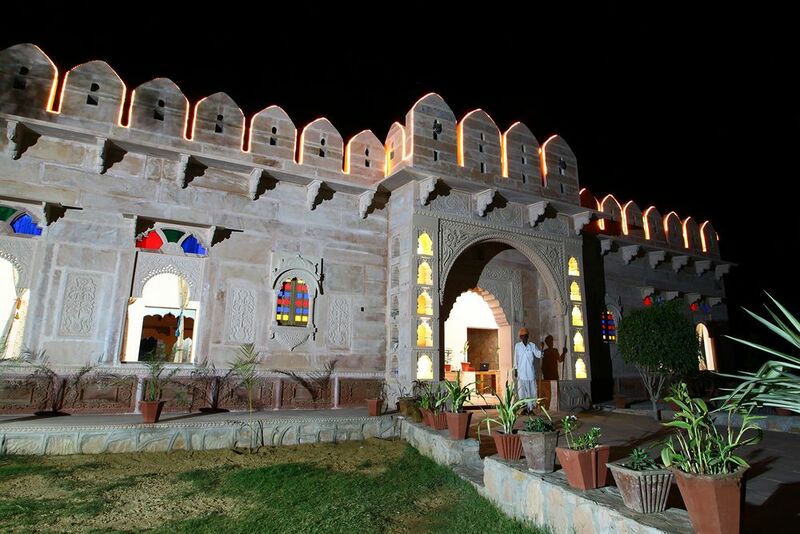 All the assistance and facilities are provided, from arranging a Bajot theme dinner to dhol-nagara, they add each and every piece of posh Royal Rajput culture, to one’s wedding. 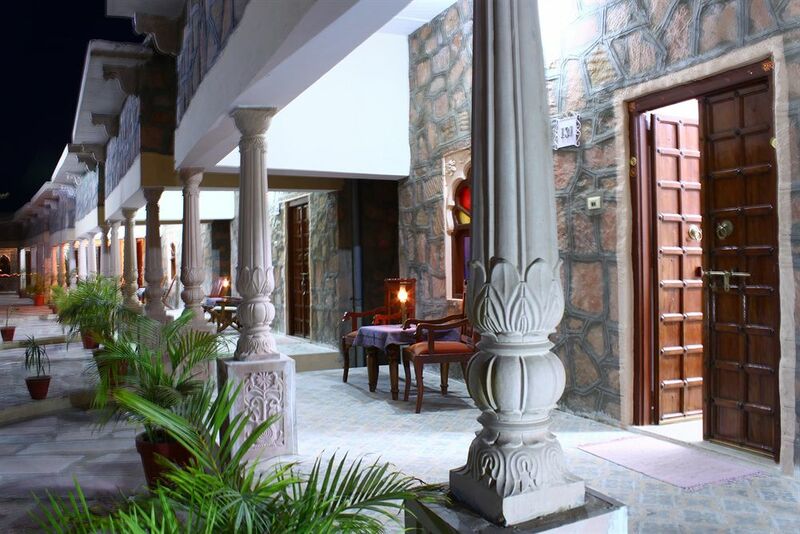 Pushkar Bagh offers its’ guests the chance to experience several local activities like ethnic village safari, and dinner at the sand dunes. 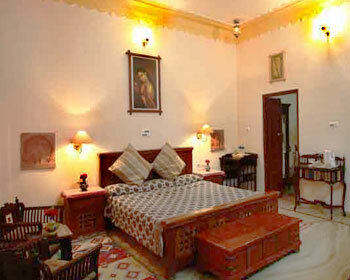 The room’s interiors are richly designed with local culture and heritage. 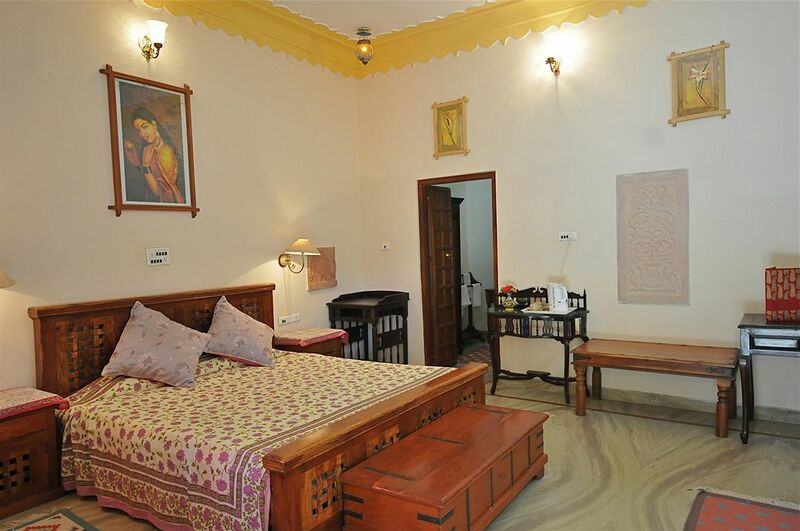 Room comes installed with a king sze bed, easily accommodating two people, with side tables on either side of the table. A small dining area for two, with table and chairs made by the local craftsmen, and also a sit-out area is provided just outside the cottage. 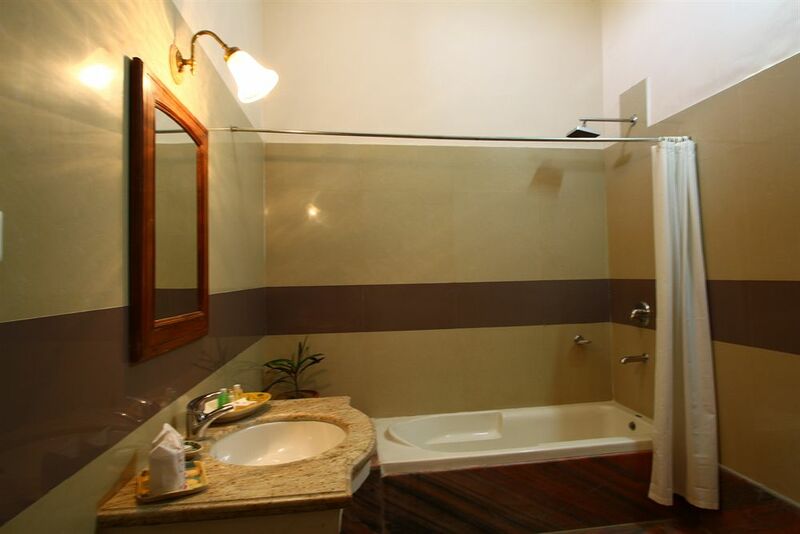 Also, private balconies are provided with every room, other amenities include 24 hours hot and cold water supply, air-condition, study desks, Wi-Fi coverage, European style bathrooms with rich toiletries, hair dryer, room service, and 100% power back-up. Guests can chose from two options to choose from, winter package or summer package. 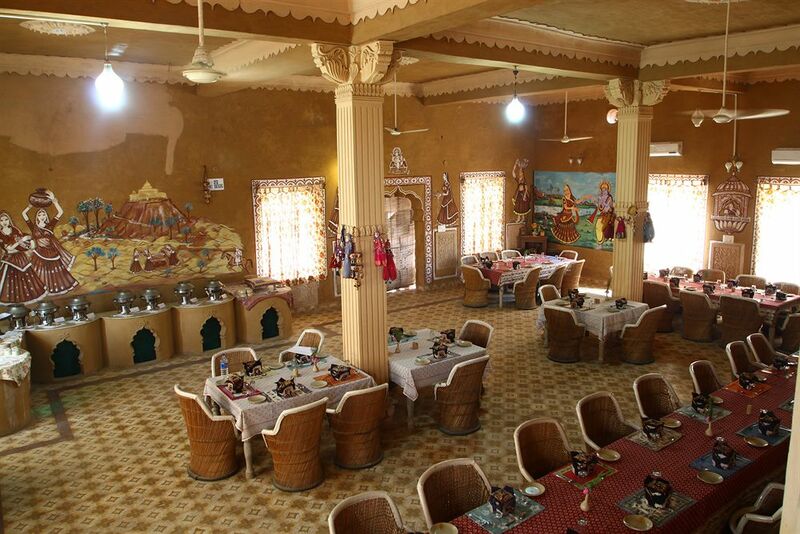 Want to experience the true feeling of how locals at Pushkar use to stay in ancient times, the rich culture with a Swiss touch, then these tents are the best place to be. The tents have been installed with traditional king size bed, and side table are installed with lanterns, instead of night lamps. A small set of table and chair, and a study desk from the antique collection of furniture is installed in the room. 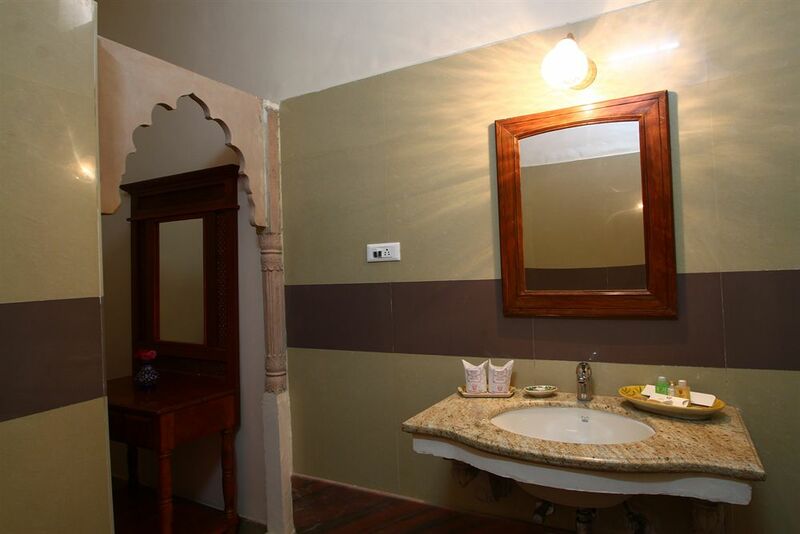 A private balcony with other amenities like attached European style bathroom with rich toiletries, hair dryer on request, 24 hours running hot and cold water, free Wi-Fi, and 100% power back-up. All the tents are air-conditioned. These rooms have defined luxury in their own way. 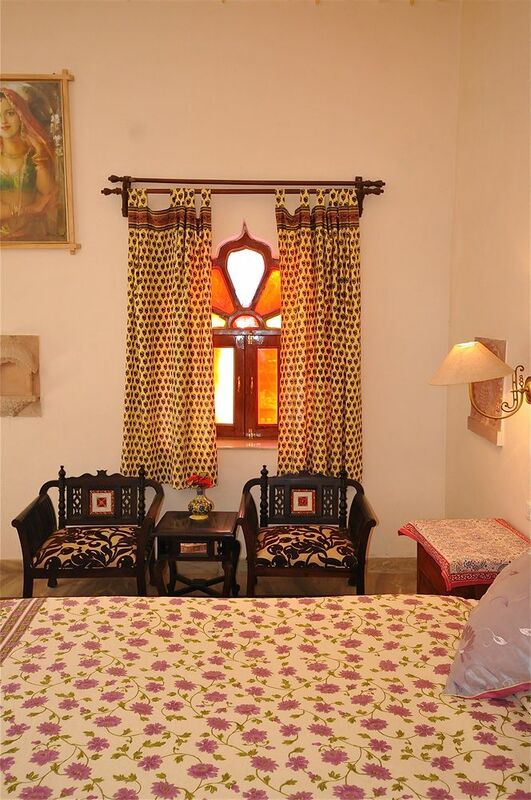 The rooms have a king size bed, and side tables on either side, beautifully decorated with the local bed sheets, and table covers. Also, a carpet has been provided alongside the bed. 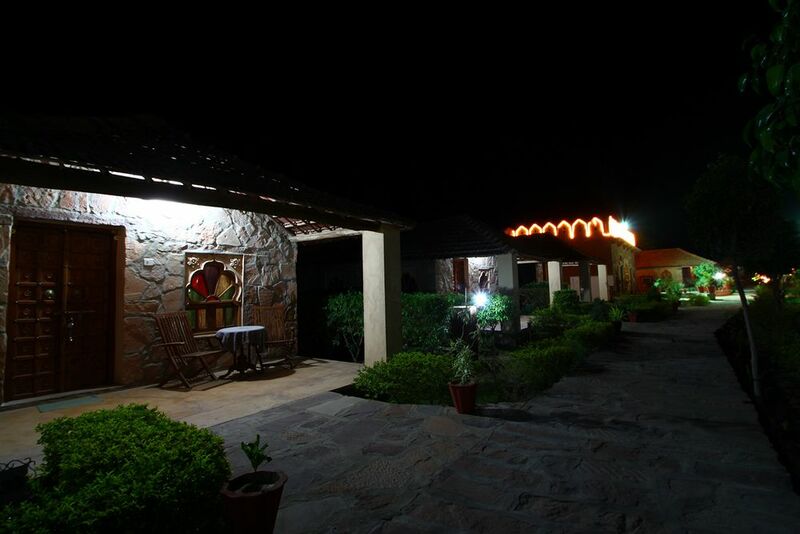 The rooms are well-lit and have got four night lamps installed. 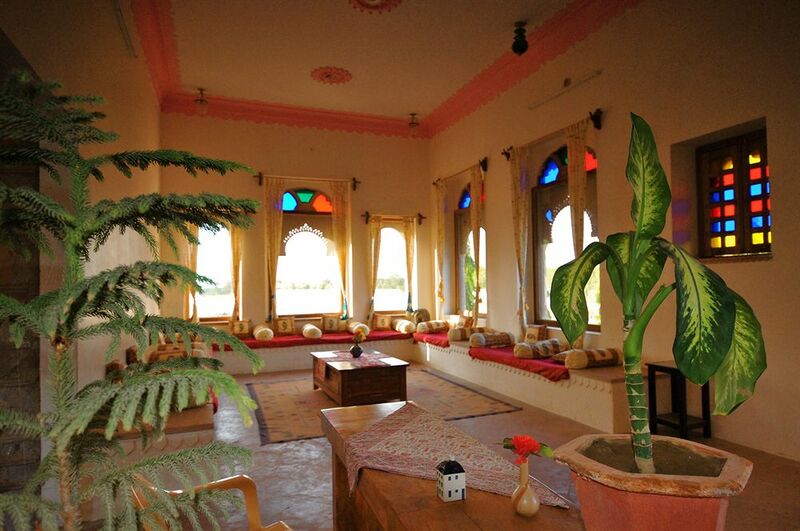 The walls are decorated with the work of local arts men, and have got curtained windows with view of orchards and mountains. 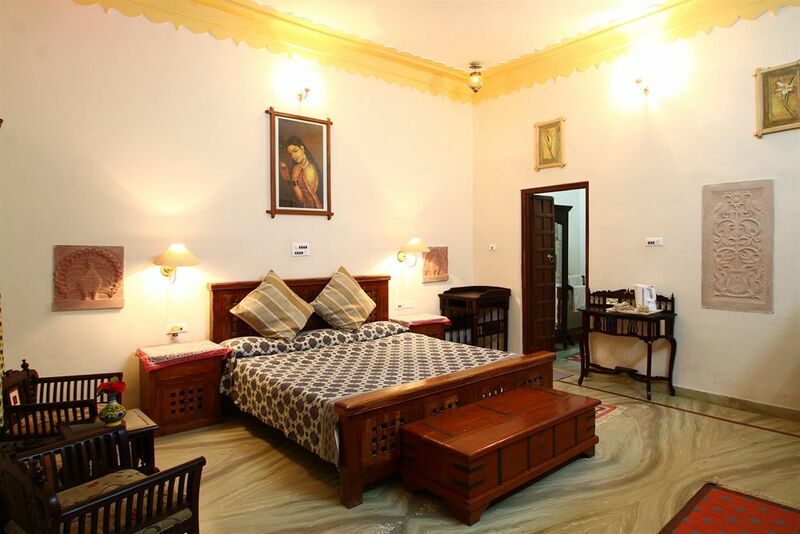 Along with private balconies in every room, these rooms have free Wi-Fi, centre table, a small dining area for two, hair dryer, attached bathroom in European style with rich toiletries, vanity desks, study desks, and 100% power backup. 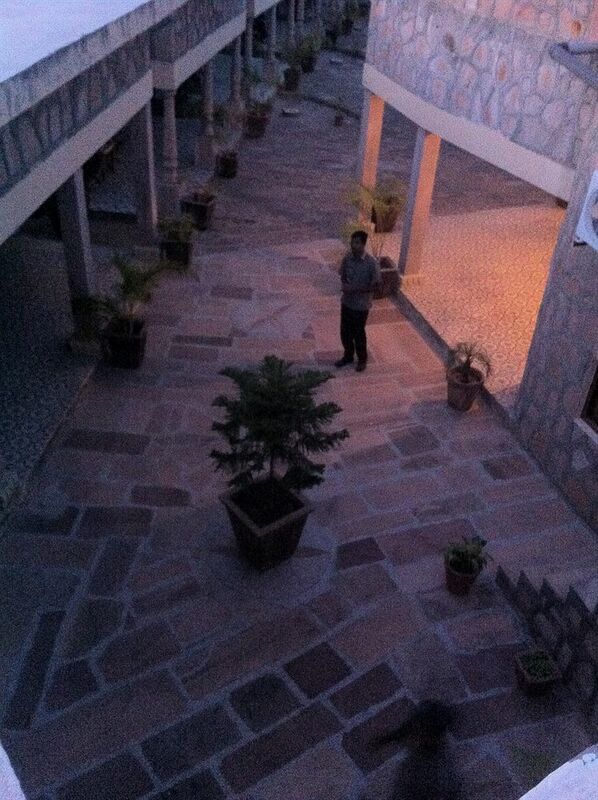 All the rooms have got a split AC installed. It is a multi-cuisine restaurant, that serves its’ guests a gourmet menu. 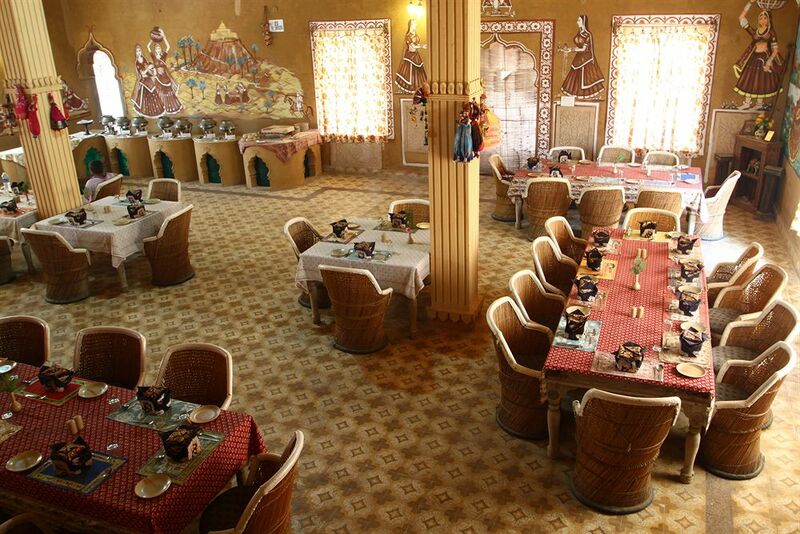 The menu include dishes from North and South India, with Chinese and Continental cuisine. The chefs at Surya specialise in Rajashtani cuisine, at times getting the guests to stay an extra day just because of the taste. 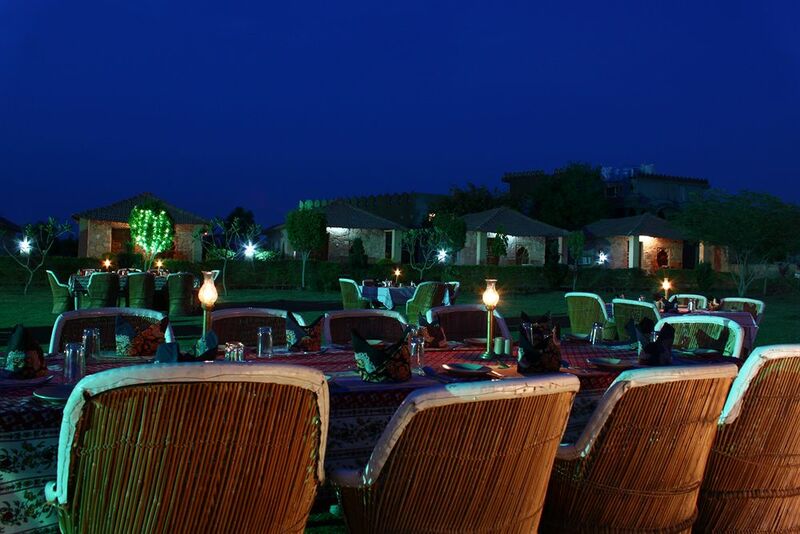 Along with the in-house restaurant, guests can also enjoy the dinner at dunes, whilst experiencing the folk dance and other local heritage of Pushkar. 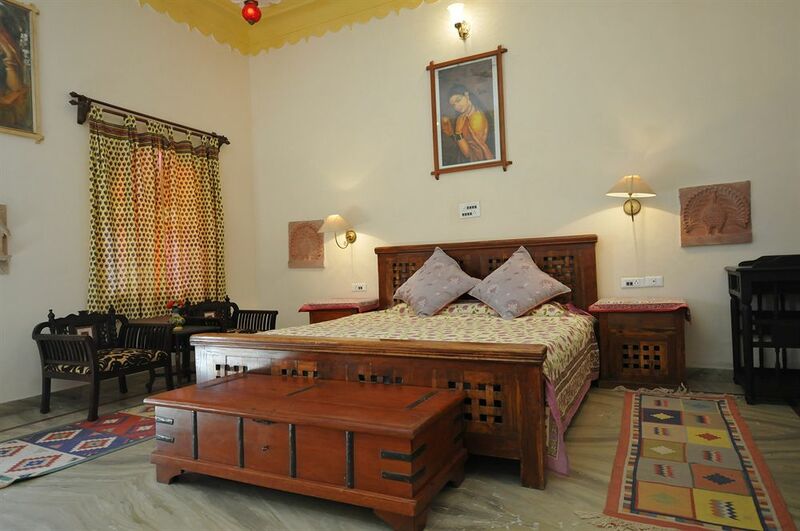 Along with the accommodation for guests, Pushkar Bagh provides business facilities as well. They not only have a conference hall, but a 24x7 coffee shop to cater small meetings as well. Along with a hot and freshly brewed coffee, during meeting hours, one can satiate their taste buds with delicious and light snacks that are available at the shop. The sitting arrangement at the coffee shop is comfortable and has been organised keeping in mind the privacy a meeting requires. 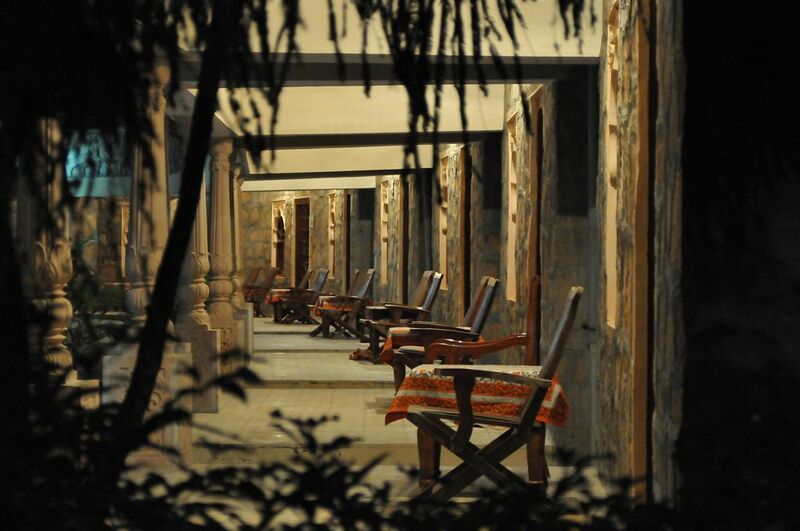 As the name itself tells, a place to enjoy, and relax. 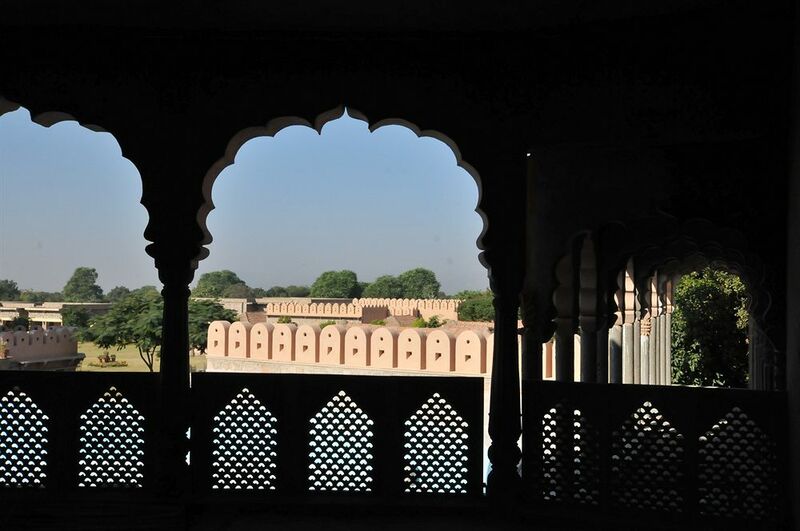 Rang Mahal is a well-stocked bar with all the exotic flavours of alcohol. It’s an in-house bar, that serves all varieties of alcohol, and the bartender is well-experienced. The drinks made by him will surely take you on a long tour of heaven, while keeping you in your senses. Too much drinking in not good for health, that is what the staff believes in at Pushkar Bagh, so only light drinking is preferred.